Product prices and availability are accurate as of 2019-04-17 09:31:00 UTC and are subject to change. Any price and availability information displayed on http://www.amazon.com/ at the time of purchase will apply to the purchase of this product. 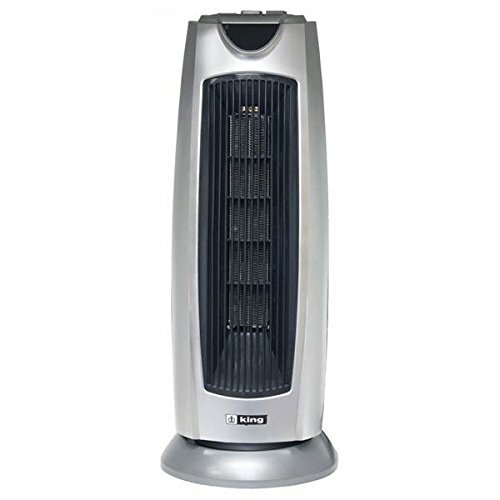 Great for heating medium sized areas | Portable for easy placement where heat is needed Lightweight for ease of movement | 120 volt standard cord and plug to be used anywhere heat is needed | Power indicator light Tip over switch | Overheat protection | Ceramic element Dual heat settings | Wide angle oscillation | Watts: 1500W Voltage: 120V | Height: 22" | Width: 11" | Length: 10"